Chatsworth, CA, September 01, 2015 - 1105 Media's Enterprise Computing Group – the publishers of MSDN and Redmond magazines - has announced that Visual Studio Live! will return as part of Live! 360, taking place November 16 – 20, 2015 at the Loews Royal Pacific Resort in Orlando, FL, as one of five co-located events that comprise the conference. SQL Server Live!, SharePoint Live!, TechMentor, and Modern Apps Live! 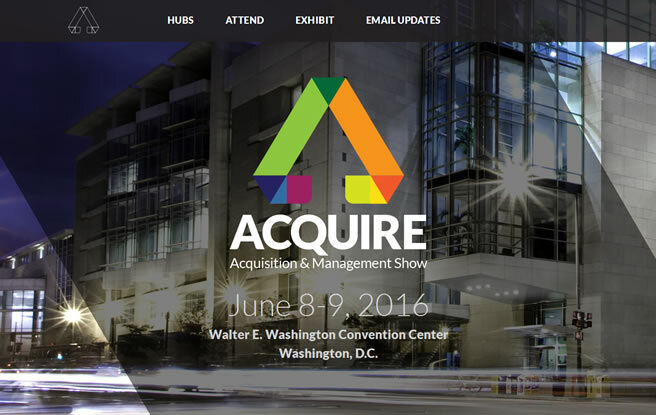 round out the event, with attendees having access to all five conferences! Visual Studio Live! Orlando 2015 is being billed as part of 'The Ultimate Education Destination', bringing a cadre of coding experts to this sunny local to anchor the Live! 360 event. With a focus on current and upcoming development technologies, Visual Studio Live! offers developers, engineers, software architects, and designers exclusive access to a week of unbiased and cutting-edge education on the Microsoft platform. Visual Studio ALM MVP Brian Randell joins Visual Studio Live! veterans Andrew Brust and Rocky Lhotka to share conference chair duties, bringing with him over 20 years of software development experience. "This year we have a new platform in Windows 10 to consider, new tools in Visual Studio 2015, and a whole set of enhancements to the ALM stack with Team Foundation Server 2015 and Visual Studio Online," says Randell. "We think there's a great way to digest these changes and seize their collective opportunity, and that's to hear about them directly from the finest expert speakers in the business." In addition to educational sessions and workshops, the conference offers multiple networking events and opportunities for attendees to talk to experts and fellow colleagues one-on-one in a casual environment. More information about Visual Studio Live! Orlando can be found at vslive.com/Orlando. Registration is currently open. Visual Studio Live! Orlando & Live! 360 offer exciting sponsorship and exhibit opportunities. Additional information can be obtained by contacting Chris Kourtoglou at 650.787.9515 or ckourtoglou@1105media.com, or Caroline Stover at 323.605.4398 or cstover@1105media.com. Or, for user groups, bloggers, or applicable websites, media partnership programs are also available. For more information, contact Michelle Cheng at 425.277.9223 or at mcheng@1105media.com. 1105 Media, Inc. delivers information through print and online magazines, journals and newsletters; seminars, conferences and trade shows; and Web-based services. 1105 Media, Inc. is based in Chatsworth, Calif., and was formed in April 2006 by Nautic Partners, LLC, Alta Communications and former President and CEO Neal Vitale. Learn more at 1105media.com. 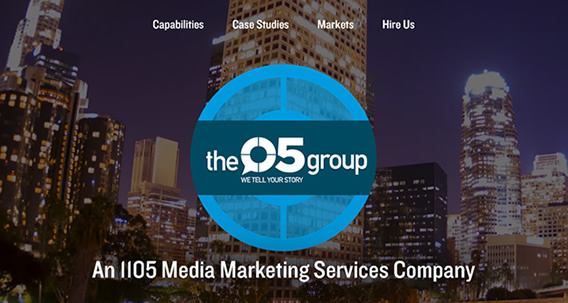 (VIENNA, VA., August 19, 2015) -- 1105 Media, Inc. announced today the launch of their new Marketing Services division: The 05 Group. The new business unit is comprised of award-winning writers, designers, event planners, project managers and developers who provide clients with top-level products and services to help them meet their marketing needs and business goals. "The 05 Group is one of many significant initiatives we have ongoing as we work to transform 1105 into a more robust technology and media services company," said Rajeev Kapur, Chief Executive Officer at 1105 Media. "It’s exciting to see such a talented group of staff members come together and make our Marketing Services division a reality." The 05 Group services include Content Creation, Event Management, Design Services, Research, Branding and more. "Our individual brands have been delivering marketing services to our clients for years," said Henry Allain, Chief Operating Officer at 1105 Media. "The increased industry demand for more customized content, marketing and event programs has prompted us to consolidate those services into one client-focused marketing services division, The 05 Group." For over two decades, 1105 has served the Technology, Government, Education, Healthcare and Security industries. FCW, TDWI, Redmond, THE Journal, Visual Studio Live! and Security Products are just six of the 35+ multi-platform media and event brands 1105 offers. "The 05 Group team works closely with our clients to deliver effective marketing materials, successful events and impactful designs," said Allain. "Our consultative process, experienced staff and industry expertise make The 05 Group rise above the competition. Clients come to us because they know and trust our team to deliver them the best results possible." Current and past clients for 1105 Media include Adobe, Cisco, Dell, FireEye, Honeywell, IBM, Nuance, and Microsoft. More information on The 05 Group can be found at https://the05group.com. (VIENNA, VA., July 23, 2015) -- 1105 Public Sector Media Group (PSMG) is hosting the second event in the Federal IT Acquisition Summit series on October 20, 2015 at the Washington Hilton in Washington, D.C. The summit will feature multiple contract vehicles including Army ITES-3S and ADMC-3, GSA Alliant (including an Alliant 2 update), NASA SEWP V and NIH CIO-CS. This full-day event will provide government professionals and decision makers with contract-specific training opportunities and insight into key issues that are reshaping the federal acquisition environment. "Due to the overwhelming response to the Federal IT Acquisition Summit held in June, 1105 PSMG is pleased to produce an even larger version of this event in the fall," said Carmel McDonagh, Chief Marketing Officer at 1105 PSMG. "We are offering multiple agencies the opportunity to provide training and information on their contract vehicles to a federal IT audience. This summit is part of our commitment to provide the federal IT acquisition community with information and training they can use to deliver more effective and efficient solutions to their agencies and customers." Speakers for the event include Program Managers and Directors from Army ITES-3 and ADMC-3, GSA Alliant, NASA SEWP V and NIH CIO-CS. They will address topics such as Everything- As-A-Service, Information Security & Continuous Diagnostics and Mitigation plus Delegation of Procurement Authority with a focus on smarter acquisition processes. Speakers will also offer insights on Alliant Small Business, 8(a) STARSII and VETS. Sponsorships for this event are available as industry attendance is limited. All Government and Military personal attend for free. Please visit http://FCW.com/FIAS for more information. Vienna, VA (PRWEB) July 24, 2015 -- 1105 Media, Inc. is pleased to announce that 1105 Public Sector Media Group's (PSMG) Media Consultant, Mary Martin, has been named a finalist for min's 2015 Salesperson of the Year Award. min's Sales Executive of the Year awards program provides magazine-media professionals the opportunity to showcase their best communications initiatives and salute outstanding performance by individuals. Martin, among other finalists for Salespersons of the Year, has been selected for outstanding media sales performance. Martin is responsible for media sales for 1105 PSMG in the D.C., Maryland and Virginia regions. She holds many accounts exclusive to 1105 due to her clients' trust in her decision making and consultative skills. Her consultative approach allows her to custom-build programs that position her clients with exceptional visibility through long-term content marketing strategies. "Mary is the consummate professional and very deserving of this recognition from min," said Dan LaBianca, Chief Revenue Officer at 1105 Public Sector Media Group. "She is highly attuned to her clients' needs and wants and is constantly striving to provide the product or service that will deliver them the best quality results. In the end, Mary out-works and out-thinks the competition on a daily basis. There is no higher compliment I can give her." "Mary really goes above and beyond run-of-the-mill account management," said Kim Hower, Senior Field Marketing Manager -- Federal, at Nutanix. "Marketing in the public sector IT space is extremely competitive, and she always approaches every challenge, requirement and opportunity as if she's one of our team. That gives us a lot of confidence that she has our best interests at heart, and the result of our investments show that." "I'm fortunate to represent 1105 Public Sector Media Group's properties, where a lot of smart people are doing innovative things," said Martin. "I'm even luckier and grateful to work with an extremely loyal customer base. I'm honored to be included among this esteemed group of finalists." Martin and her fellow finalists will be honored at min's annual Sales Executive of the Year program breakfast on September 22, 2015 at the Grand Hyatt in New York City. Seattle, WA (PRWEB) July 17, 2015 -- TDWI, the premier source for in-depth education and research on all things data, is pleased to announce the 2015 winners of its annual Best Practices Awards. "TDWI is honored to acknowledge this year's winners. They exemplify visionary innovation, dedication, and commitment to excellence in their respective industries," said Steven Crofts, president of TDWI. "These awards showcase the depth and breadth of agile strategies, implementations, and technologies that both address old challenges and promote new solutions." The Best Practices Awards winners will be recognized at the TDWI Conference in San Diego, which takes place September 20–25, 2015, at the Manchester Grand Hyatt. For 20 years, TDWI has provided individuals and teams with a comprehensive portfolio of business and technical education and research about all things data. The in-depth, best-practices-based knowledge TDWI offers can be quickly applied to develop world-class talent across your organization's business and IT functions to enhance analytical, data-driven decision making and performance. TDWI advances the art and science of realizing business value from data by providing an objective forum where industry experts, solution providers, and practitioners can explore and enhance data competencies, practices, and technologies. TDWI presents five major conferences as well as topical seminars, onsite education, membership, certification, live Webinars, resourceful publications, industry news, and in-depth research. See tdwi.org or follow us on Twitter @TDWI. 1105 Media, Inc., is a leading provider of integrated information and media in targeted business-to-business markets, including specialized sectors of the information technology community; industrial health, safety, and compliance; security; environmental protection; and home healthcare. 1105's offerings span print and online magazines, journals and newsletters; seminars, conferences, and trade shows; training courseware; and Web-based services. 1105 Media is based in Chatsworth, Calif., with offices throughout the United States. (VIENNA, VA., June 15, 2015) -- 1105 Media, Inc.'s Enterprise Computing Group (ECG) today announced a new client-focused Web site: http://1105ECG.com. This Web site gives advertisers in the developer and IT professional space a holistic view of the Enterprise Computing Group's media and event brands, including Redmond, Virtualization Review, MSDN Magazine, Redmond Channel Partner, Visual Studio Live! and TechMentor Events. "Our new 1105 ECG Web site provides our clients with a snapshot of each of our brands," said Dan LaBianca, chief revenue officer of 1105 Enterprise Computing Group. "It's a valuable tool that helps advertisers quickly learn the editorial missions and audience demographics of each brand and enables them to decide what magazines, Web sites or events would best serve their marketing objectives." In addition to editorial missions and audience demographics, the site also includes overviews of the different marketing programs each brand offers, including print advertisements, Webcasts, lead generation programs and custom content marketing solutions. "1105 Media's mission is to provide our clients with superior service and market leadership," said Henry Allain, chief operating officer of 1105 Media. "With the Enterprise Computing Group launching 1105ECG.com, they are taking the next step in realizing this mission by making the ECG brands more accessible and comparable, providing an outstanding user experience." https://1105ECG.com joins http://1105PublicSector.com as the second client-focused Web site for 1105 Media.